← George H. Hewitt Co., Ltd.
Untitled art. Fisherman’s Union Building (1968), Leonard Epp artist. 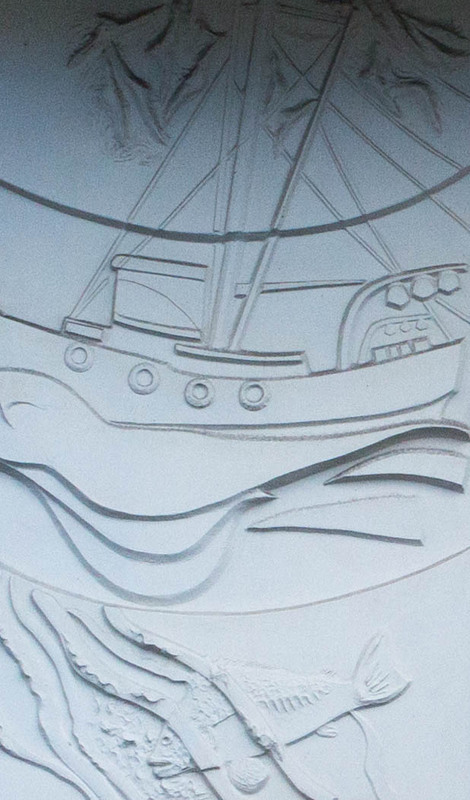 This pre-cast concrete relief triptych is on three sides of the former Fisherman’s Union building (1968) at NE corner East Hastings and Hawkes (today, home to AIDS Vancouver). According to Steil’s and Stalker’s excellent resource, Public Art in Vancouver: Angels Among Lions, this was the creation of Leonard (sometimes spelled “Leonhard”) Epp. 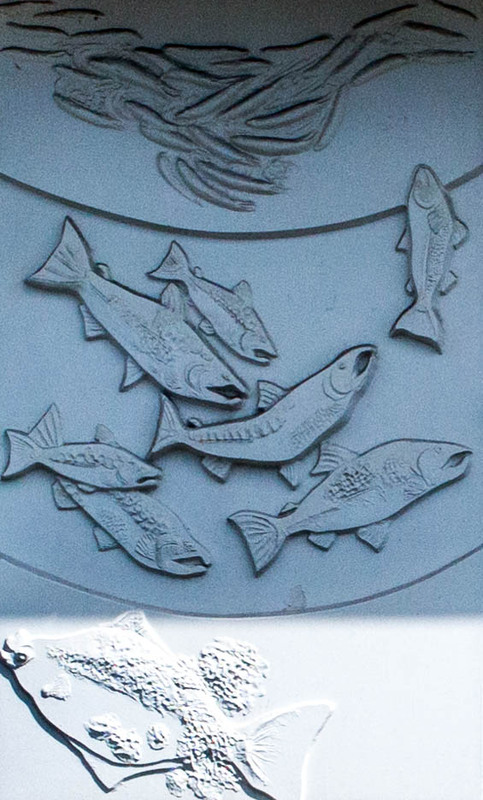 The three fishing-related forms appear in different orders on each of the three walls of the building (note: above, each of the forms has been cropped separately to maximize the amount of each form that is not covered by vegetation). 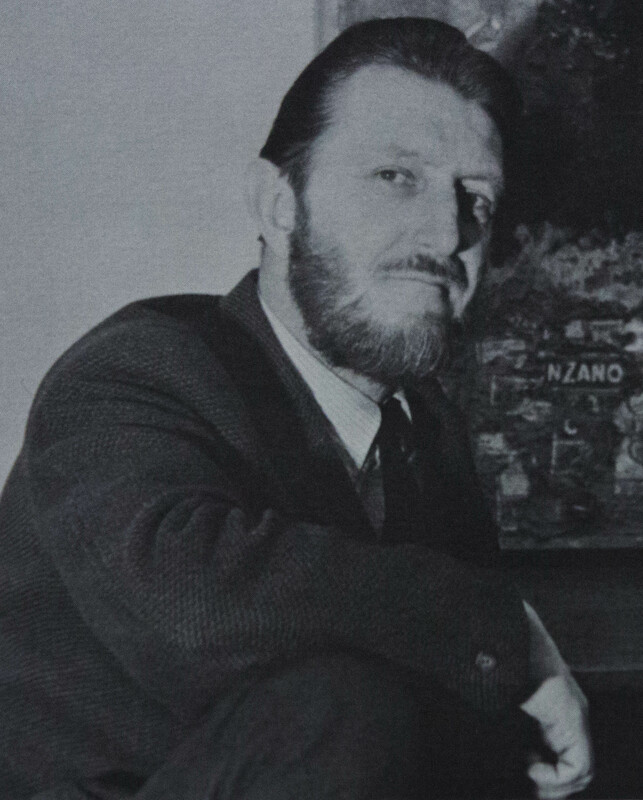 The buiding was designed by Robert Harrison, whose other work included the W.A.C. Bennett Library at SFU (Burnaby Mountain). 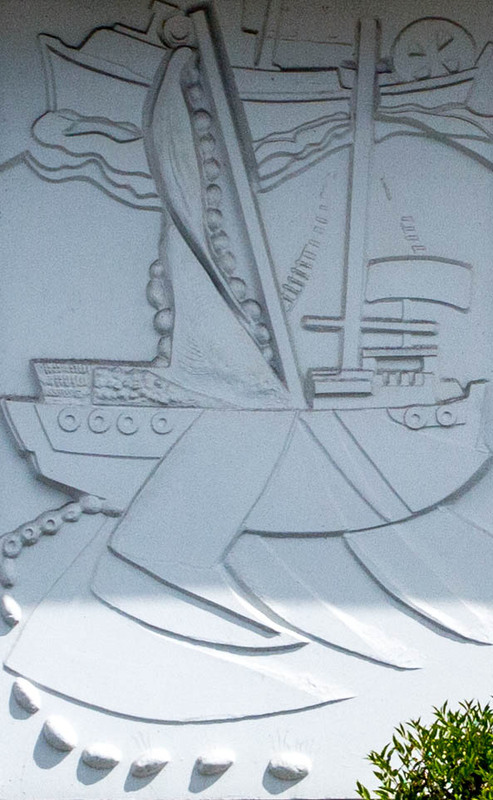 This entry was posted in art, boats/ships, people and tagged AIDS Vancouver, Angels Among Lions, fisherman's union builidng, pre-cast concrete relief, Steil and Stalker, triptych, WAC Bennett Library (SFU). Bookmark the permalink.